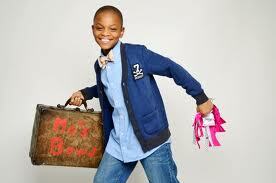 Moziah Bridges started his own bow tie company, Mo’s Bows, in Memphis, Tennessee in 2011, when he was only 9-years-old. At that age, his grandmother started teaching him how to sow, in order to help him make his own bow tie out of scrap material, after he couldn’t find any cool and fun ones on the market. He realized that he could put into practice the knowledge passed on by his grandmother and create his own bow tie company. His mother fully supported his initiative, emphasizing that one shouldn’t wait to be older to follow a dream. Thus far, the young man has managed to earn over $30,000, selling his bowties on his Etsy page, which can be accessed from his website, with prices ranging from $25 to $50. His products are also available in shops across Tennessee, Alabama, Texas, Louisiana and Arkansas. His motto is “bows ties make you look good and feel good.” He chooses the fabrics for the bow ties himself and has managed to create a diverse range of bow ties to suit all preferences. Moziah is also involved in helping his community, because he considers it an important responsibility. He has created Mo’s ‘Summer Camp’ bow ties, whose proceedings are entirely used to fund the Go Mo Summer Camp Scholarship, allowing several children from the Glenview-Edgewood Manor Neighborhood in Memphis to attend the Glenview Community Summer Camp, allowing them to participate in recreational, athletic and education activities as well as attend field trips. He started this initiative in the summer of 2012, when Mo’s Bows awarded the first two children this scholarship. Mo’s initiative has attracted significant media attention. He has been interviewed by The Steve Harvey Show and Fox News and has been featured in Oprah’s O Magazine, Forbes, Elle and Esquire, to name just a few. In terms of his future plans, Moziah intends to expand his line, by adding neck ties, pocket squares and other accessories for men, while on the long-term, hoping to start his own kids’ clothing company with nice blazers and pants for kids who want to look cool. Moziah looks up to Ralph Lauren, who started selling neck ties when he was 10-years-old, and he wants to be a famous fashion designer, just like him.